Exotic Bali is a favorite travel destination for very good reasons. Divers, surfers, and beach bums flock to every inch of the island's coastline for the chance to ride epic waves, explore famous underwater reefs and lounge on tropical shores. Bali’s core draws a different clientele into the depths of its jungles generously sprinkled with impossibly-green rice paddies. Yogis take off for week-long meditation retreats, nature lovers trek through thick vegetation and there’s never dull moment for photographers who swoon over Bali’s naturally-sculpted landscape. Knowing all this, it should come as no surprise that Bali can sometimes be a little “busy.” The beachside city of Kuta swells with foreign visitors and tour buses flood Bali’s world-famous attractions. If crowds and guided tours aren’t your thing, don’t stress. We hear you. And this is certainly not the best way to see Bali. But don’t cross The Island of the Gods off your bucket list yet. It’s possible to travel to one of the most popular islands in the world while still staying off the beaten path and experiencing everything that defines Bali. Tegalalang Rice Terrace is by far the most famous and most photographed in Bali. And truth be told, this region is breathtaking. What’s not as magical are the throngs of tourists who flock from nearby yoga and culinary mecca Ubud to snap up that prized social media shot. 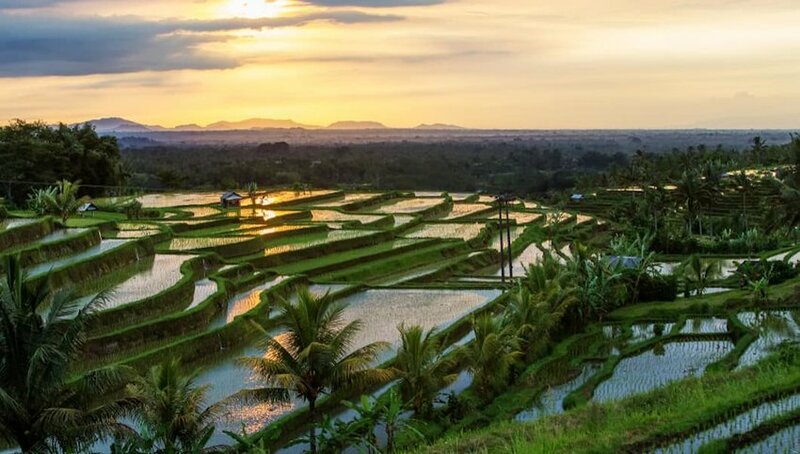 Instead, visit the Jatiluwih Rice Terraces, the largest in Bali at over 600 hectares. The expansive size, lack of other tourists and pure serenity make it worth the drive to the belly of Bali. Also, don’t miss the chance to check out Sidemen, a traditional village far-removed from the hustle bustle offering stunning scenery and unspoiled Balinese culture. This sounds harsh considering how many awesome surf spots and temples are crowded into southern Bali. But that’s just it. The south is too crowded. Definitely check out hotspots like Uluwatu Temple and the beaches of Bukit Peninsula (especially if you’re a surfer), but then make moves. 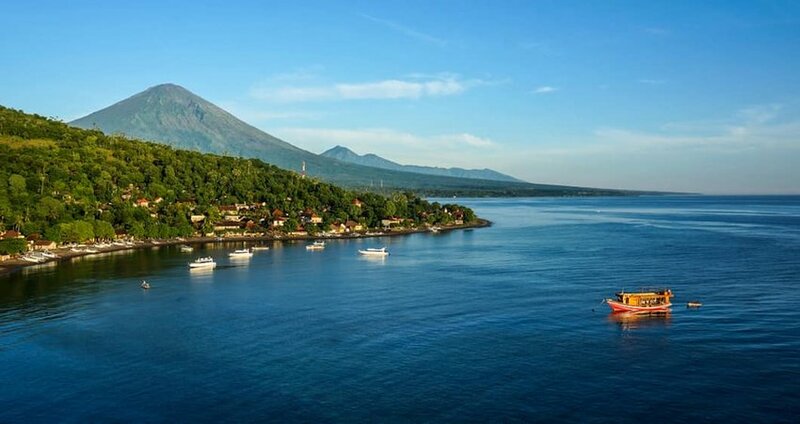 Instead of trying to navigate the hectic southern scene, settle down for a few days in Amed, a fishing village a 2.5-hour drive northeast from Kuta. Here you’ll be treated to black sand beaches, affordable oceanfront huts, the sparkling water of Jemeluk Bay and some exceptional dive sites just a few minutes off shore. Rent a scooter and discover the lavish gardens of the Tirta Gangga Water Temple, tucked amongst Bali’s greenest jungle. Bali boasts a lively party scene — this is no secret. It’s worth a night of fun, but partying ‘til dawn every day of your vacation means you’ll miss the most spellbinding experiences Bali has to offer. 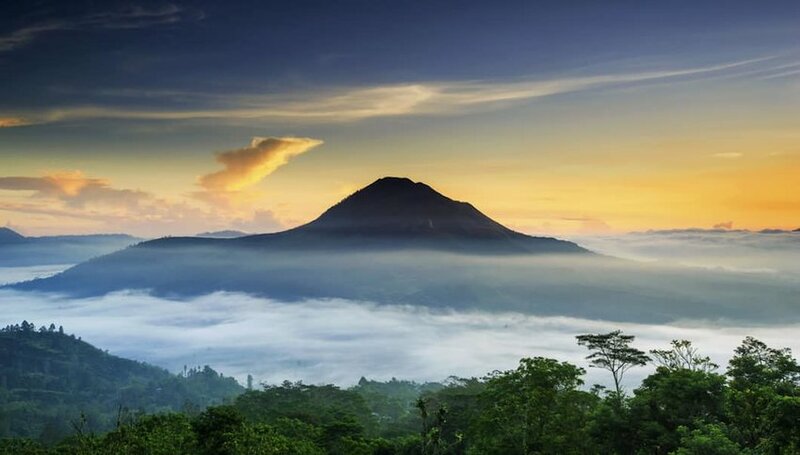 Instead of drowning in buckets of cheap alcohol like many other backpackers, go to bed early in preparation for an epic sunrise volcano trek up Mount Batur in northeast Bali. The trek is only about 2 hours, although very steep. Once you reach the summit above the clouds, you’re rewarded with the panoramic view of the incredible orange sun melting over a fluffy white carpet. Instead of stalking your favorite globetrotter and following in their footsteps, blaze your own trail to falls like Leke Leke and Banyu Wana Amertha. 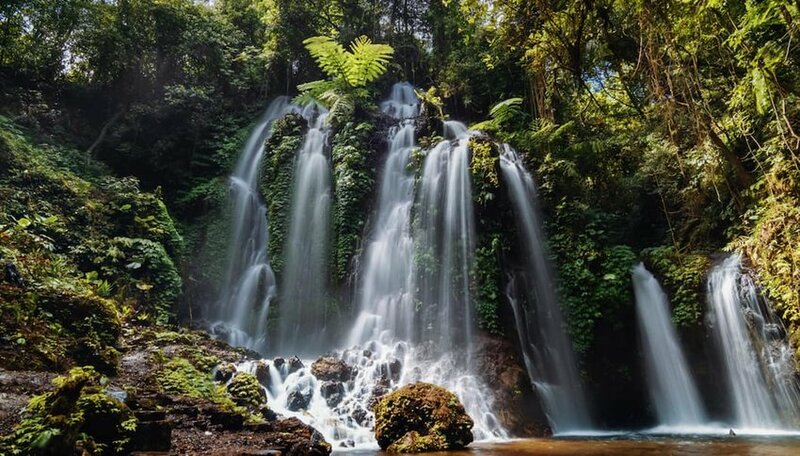 Both are lesser-known but we won’t be surprised when they earn a spot on Bali’s Best Waterfalls list. Leke includes a small jungle trek before opening up to a tall, thin stream of water splashing into a shallow rock pool below. Banyu Wana is a wide cascading giant, often overshadowed by other nearby falls — which means less crowds and better pictures. Secluded, magnificent and just as heart-stopping as the more “popular” falls, Both Leke Leke and Banyu Wana Amertha are must-sees. If you’ve got time, a little island hopping is a great way to top off a trip to Bali. The Gili Island Trio (Gili Trawangan, Gili Air and Gili Meno) draw big crowds of divers, partiers and beach bums, but there’s an alternative. Instead of following the masses out to the Gili Islands, opt for an escape to Nusa Penida. 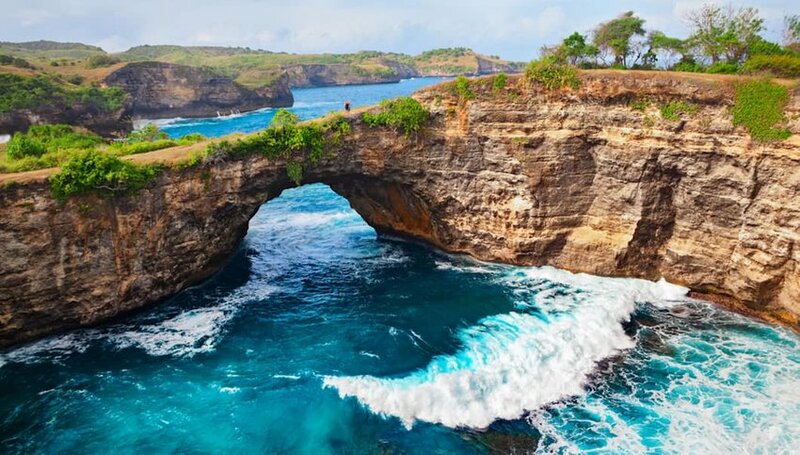 Despite being a neighbor of Bali, Nusa Penida’s tourism industry hasn’t developed at the rapid speed of its world-famous sister island. This makes it a perfect place to chill out, break free from tacky tourist traps and explore undiscovered beaches, visit cave temples and partake in some adventurous trekking.